Sue Campion RBA is primarily a colourist. She works in oil and pastel combining wonderful rich colours with a strong sense of pattern and design. The subject of her works range from Shropshire hills and portraits to the Thames, southern Europe and Australia. Originally Sue trained as a display artist in London during the 1960’s. She left England and lived abroad in Spain and America before returning to England and opening a gallery. 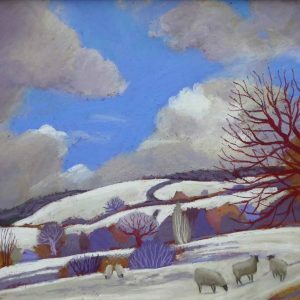 She then returned to college and studied Fine Art at Nottingham Polytechnic.Sue works from her studio in Shrewsbury and paints the Shropshire landscape as well as travelling and painting in Spain, Italy and Australia. 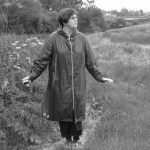 She has had many solo and group shows and has work at Rowleys House Museum and the Courtauld Institute. Sue Campion is a member of the Royal Society of British Artists. Sue will be exhibiting with us again in November. Click here for more details. If you would like to be the first to see any new work from Sue sign up for our newsletter or even better click here to join our ‘Twenty Twenty Friends’ to get all the printed information, catalogue etc.